Hupy and Abraham Employees Grant Wishes for Wisconsin Kids | Hupy and Abraham, S.C.
Every year, as a way to give back to the firm partners, Hupy and Abraham, S.C. employees collect donations for community organizations. The results are announced at the firm’s annual holiday party, which occurs in early December. In previous years, Hupy and Abraham, S.C. employees have raised thousands of dollars and reached a 100 percent participation rate. 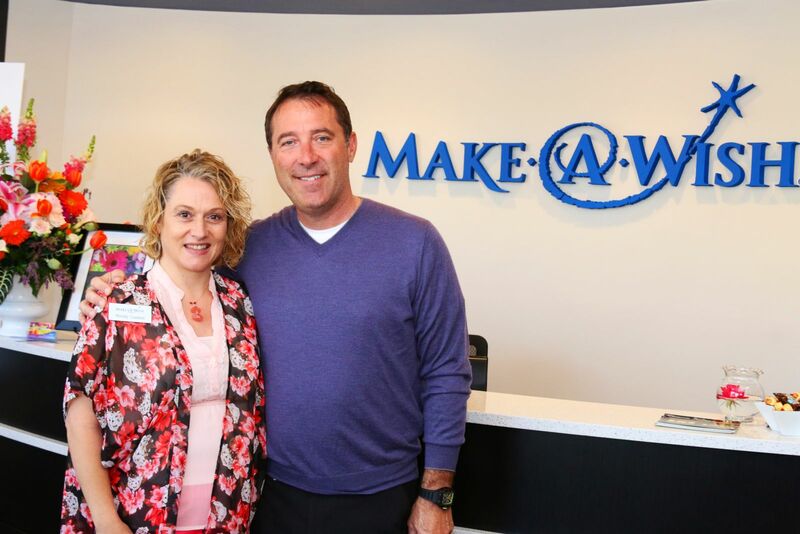 Attorney Jason Abraham with Wendy Cozzens, Make-A-Wish Wisconsin President. The goal for 2016 was to raise enough money for Annika, a 10-year-old girl living with medulloblastoma, a fast-growing brain tumor. Annika’s “wish” was to be able to attend Alaska’s Iditarod in March 2017. Hupy and Abraham, S.C. employees donated almost $8,000, over 130 percent of the original goal. Due to the generosity from staff, the funds raised were also able to grant a second “wish” for 15-year-old Alexis. Alexis will be able to go on her dream trip to Hawaii in spring 2017. Part of Hupy and Abraham, S.C.’s mission is “doing well by doing good,” which is consistent throughout the company. During the 2016 holiday season alone, the firm has donated over $10,000 to help provide meals to those in need. In the past three years, the firm has given over $500,000 to community organizations.